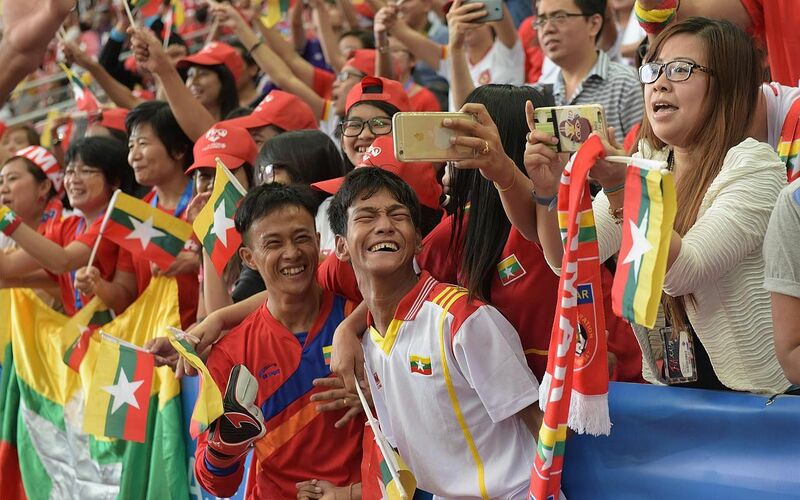 The first Asean Para Games held in Singapore, which ended on Wednesday, may have lasted only seven days but has provided us with plenty of memorable moments. After a stunning long-range strike in the opening game of the cerebral palsy football match against Indonesia which marked the start of the APG, as well as the debut of the Singapore team, captain Khairul Anwar and his left foot have been nothing short of phenomenal throughout the week-long competition. His finest moments came in the match against defending champions Myanmar as the defender notched a treble in the 5-3 loss, which included a spectacular freekick to earn himself the moniker of Singapore's "David Beckham". Khairul also became the first Singaporean to score a hat-trick at the National Stadium. Sixty-one seconds was all it took for local swimmer Yip Pin Xiu to rewrite the record books. Singapore's first Paralympic champion clocked 1min 1.61sec in the women's 50m backstroke S5 (S2-S5) final, lowering the previous S2 world record of 1:03.00 set by China's Feng Yazhu at the 2012 London Paralympics. It also gave Yip, 23, her first gold medal of the 8th APG and was made even more impressive as the S2 swimmer (in a classification for those who have severe coordination problems in all limbs) was competing in an S5 race (the higher the number, the less serious the impairment) and was facing competitors with greater mobility than herself. Having promised to deliver an SG50 gold for Singapore, table tennis player Jason Chee made good on his vow in dramatic fashion. The navy serviceman, who lost his legs and left arm in a ship accident in 2012, played a critical role by winning all three of his matches against Thailand in the mens' team Class 1-2 event to clinch the Republic's first table tennis gold at the APG. The air was thick with tension at the OCBC Arena Hall 1 before Thai paddler Thinathet Natthawut sent his final return long as the packed stands rose to their feet to salute Chee and his teammates. Any questions about the level of support for the APG was soon banished once the competition kicked into gear on Dec 3. Over the next seven days, close to 100,000 spectators showed up across the 15 sports to cheer the 1,200 para-athletes from 10 countries. From the OCBC Aquatic Centre to the various halls at the OCBC Arena and Marina Bay Sands and the National Stadium, the atmosphere was filled with cheering and applause. 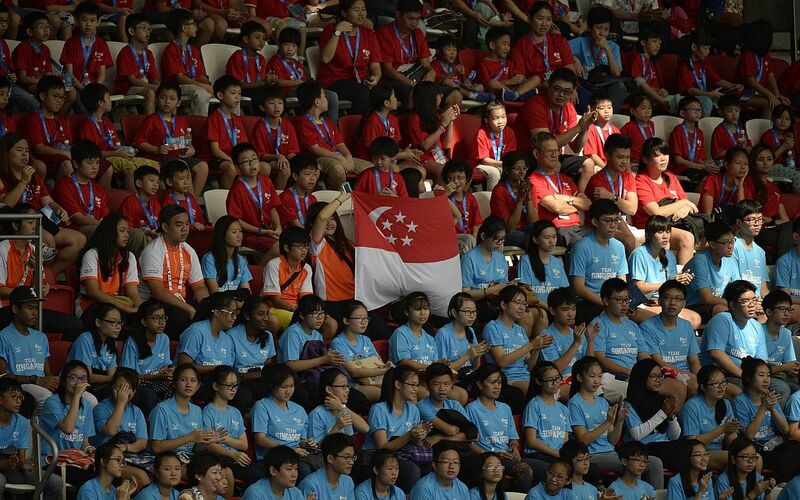 No matter where they went, the athletes were also greeted by well-wishers as Singaporens embraced the Games and were left in awe by the athletic skill and never-say-die attitude of the disabled participants. Moments before her 400m freestyle S9 (for below knee leg amputees) event, Malaysian swimmer Yeo Yi Lin started to feel dizzy and to have double vision and slowly dropped to the floor of the OCBC Aquatic Centre. It seemed unlikely she could compete with even her coach advising her to withdraw. But Yeo, who has beaten cancer twice and has lost her left leg, refused to quit. She eventually rose from her chair, hopped onto the starting blocks and did what she had come to do. That she finished last did not matter to the crowd who cheered her every stroke, applauding a young woman's courage. The glam factor of the 8th APG went up several notches when former Manchester United and England star David Beckham showed up to support the Games. Not only did the ex-Three Lions captain mingle with the para-athletes in the Nila Suite at the Games Village, obliging many selfie requests and chatting with a few athletes, he also met with Singapore's cerebral palsy football captain Khairul Anwar and presented him with a signed football. Beckham later also watched the five-a-side football game between Singapore and Thailand and posted a video of the match on Instagram saying: "The level of skill in this game is incredible"
The competition may have been fierce and intense but so too was the camaraderie and friendship displayed by the athletes as they exemplified the true meaning of sportsmanship. 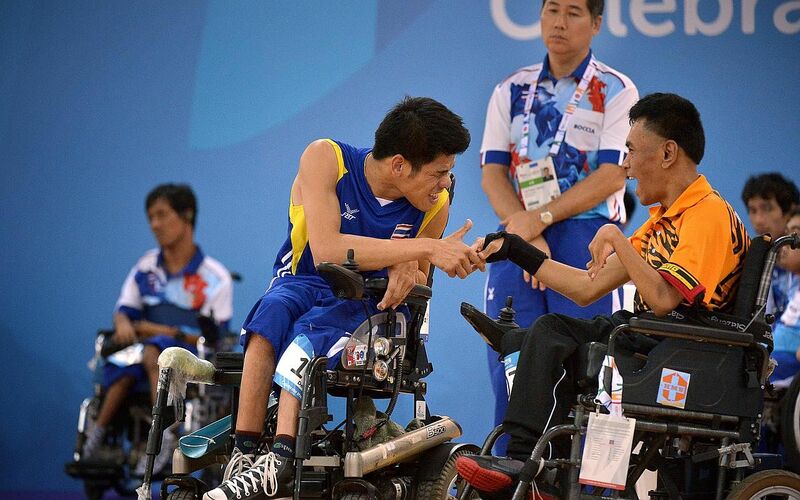 Wheelchair basketballers and coaches on rival teams were quick to come to the aid of their fallen opponents while participants in the other sports also showed respect to each other. It was, in many ways, a Games that best captured the beauty of sports.